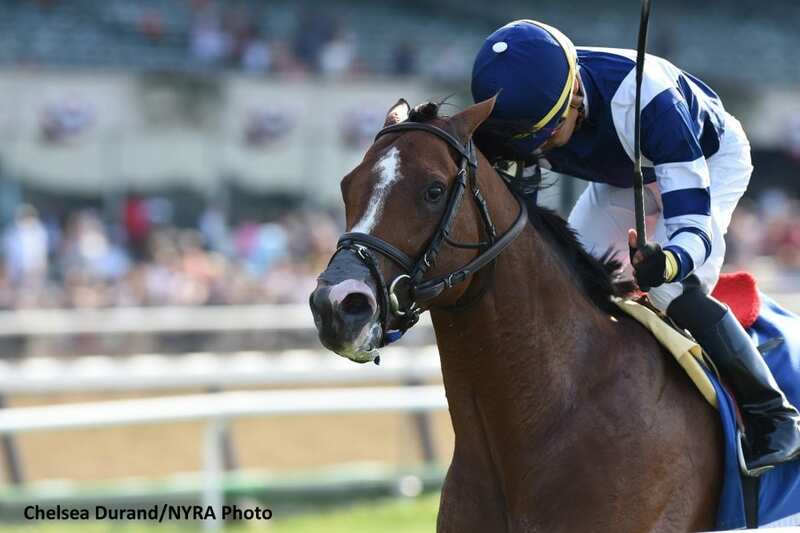 Oscar Performance, the three-time Grade 1 winner who recently broke a 20 year track record in the Grade 3 Poker Stakes (G3), while tying the world record for a mile on turf will retire at the end of the year to stand at Mill Ridge Farm for 2019. Oscar Performance is owned by Jerry and John Amerman. The best of his generation on the turf, Oscar Performance won every Grade 1 for 3-year-olds on the turf while racing Lasix free. Breeders' Cup Juvenile Turf winner as a 2-year-old, this son of Kitten's Joy out of stakes-winning Theatrical mare Devine Actress has continued to excel as a 3- and 4-year-old. Mill Ridge Farm managing partner Headley Bell could not be more pleased. His record to date at 12 starts, 7-0-1 with earnings of $1.967,632. This entry was posted in Bloodstock and tagged headley bell, horse racing and breeding, lasix, mill ridge farm, oscar performance, Paulick Report by Edited Press Release. Bookmark the permalink.